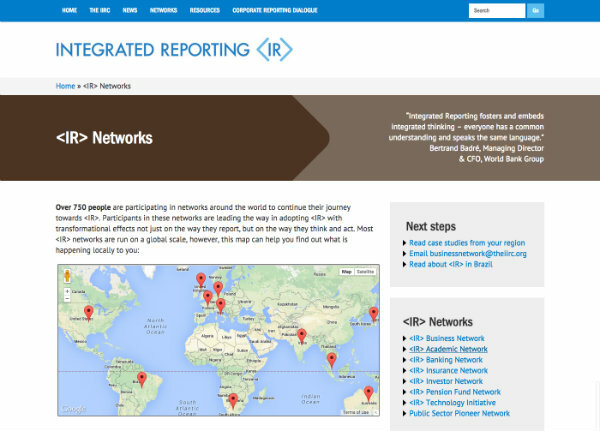 The International Integrated Reporting Council (IIRC) is a global coalition of regulators, investors, companies, the accounting profession and NGOs. This coalition is promoting value creation as the next step in the evolution of corporate reporting. 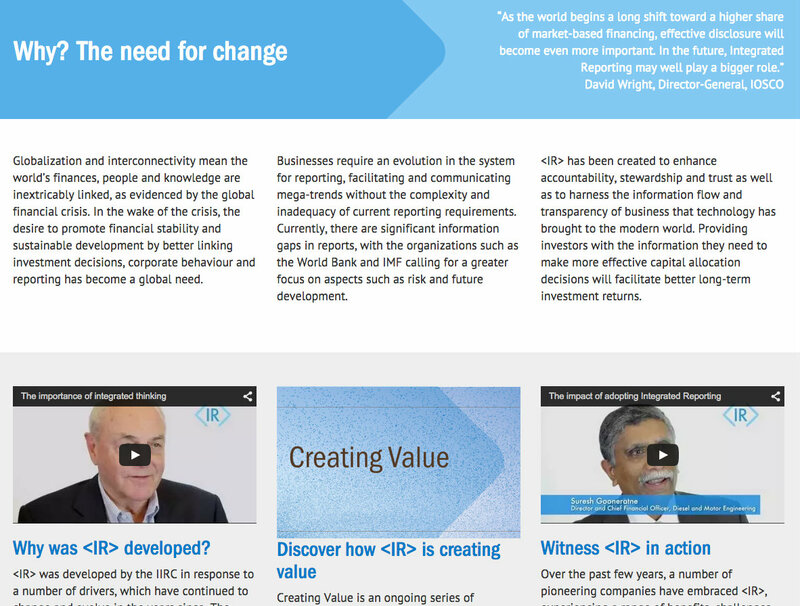 The IIRC commissioned us to produce a website that helped people better understand their purpose, and the role of integrated reporting in corporate accountability. We ran a content workshop to help the IIRC team ascertain the needs of their audiences and a journey for each, to help visitors to the new site discover the most relevant content. 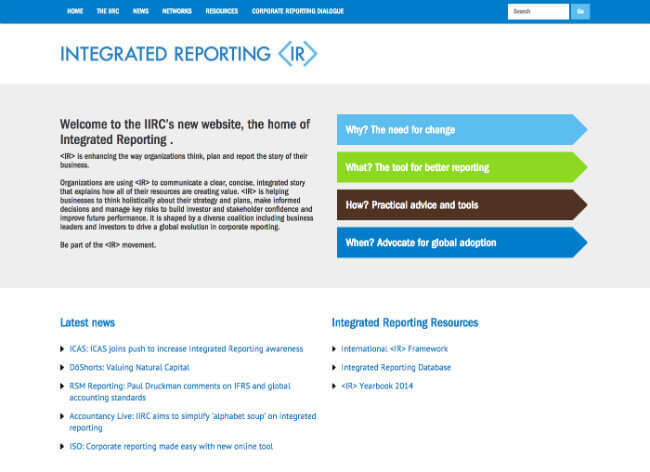 The final website is structured around four types of user, each with a different journey based on their relationship with the IIRC; from informed experts through to people researching integrated reporting for the first time.